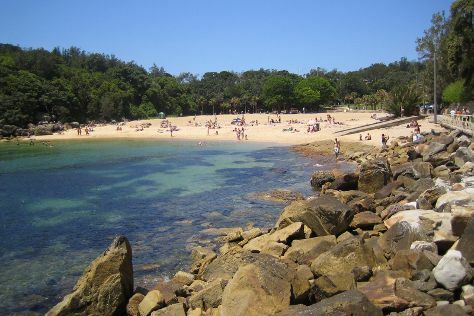 Explore the numerous day-trip ideas around Manly: Palm Beach (Barrenjoey Lighthouse & Palm Beach). Spend the 12th (Fri) exploring nature at Sydney Harbour National Park. And it doesn't end there: enjoy the sand and surf at Shelly Beach, tour the pleasant surroundings at Balmoral Beach, Mosman, get up close and personal with brilliant marine life at Manly Sea Life Sanctuary, and get to know the resident critters at Taronga Zoo. To see maps, more things to do, and more tourist information, refer to the Manly road trip planner. Kuala Lumpur, Malaysia to Manly is an approximately 16-hour flight. The time zone difference moving from Malaysia Time to Australian Eastern Standard Time (New South Wales) is 2 hours. Traveling from Kuala Lumpur in July, expect Manly to be cooler, temps between 20°C and 9°C. Wrap up your sightseeing on the 13th (Sat) early enough to travel back home.